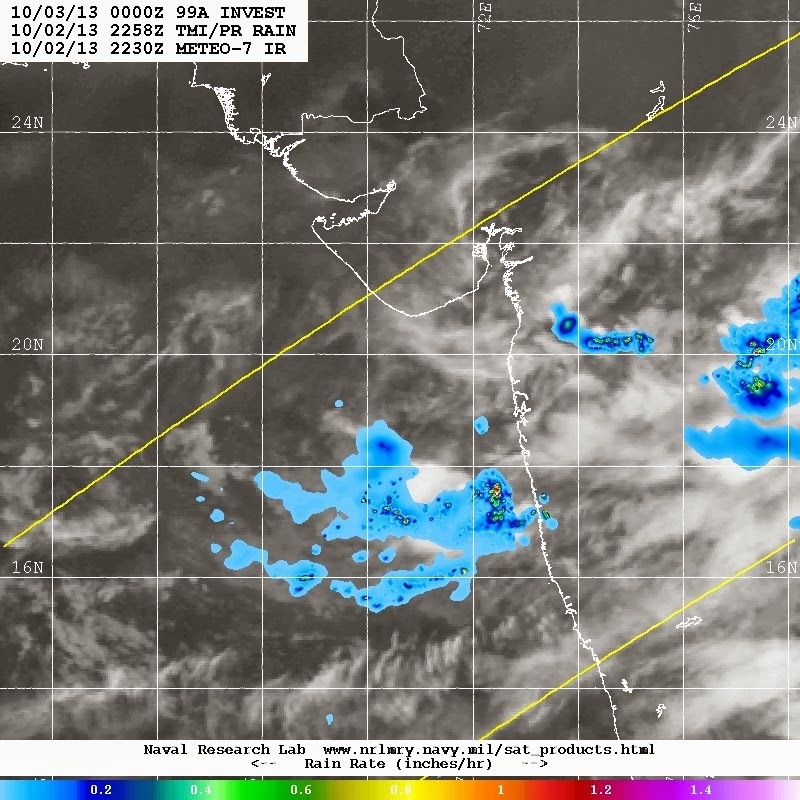 UAC in the West Coast trough is located about 210 kms SW of Mumbai. The jet stream Divergence ( UWD) and shear factor have created intense convection in the South and SW quadrant. Expected to deepen a bit over current location. Precipitation expected on Thursday over South Konkan and Goa. Heavy at times with gusty winds from SW.
Mumbai will be windy from the S/SE direction. Showers expected by Thursday evening and increasing towards Friday. BB-14 has moved North from Vidarbh, and may fizzle out in next 24 hrs over MP/South UP. Which direction is the UAC forecasted to move? Kyati: Thunder and rain in Nala Sopara now...given forecast in this very article, now what forecast ? Heavy thunderstorm in Vasai. with loud thundering going on. Badlapur had long 1 nd half hour huge lightning & loud thundering from 4.45pm to 6.15pm but just drops fallen !! Better were sharp heavy shower at 2.30pm..
Overcast and intermittent rains in the interior towards the western ghats since morning. Turned heavily overcast in Margao Goa after 3 pm with mild showers and wind from west. Rains stopped after 6 pm. Heavy overcast conditions and intermittent rains continue in Goa since early morning. rajesh sir pleaae comment on the likely low pressure to develop over north andaman sea as indicated by imd ?